Finding the right talent to fill your vacant position doesn’t need to be hard. Of course, you want an exceptional candidate that will fit right in with the rest of your employees and contribute to the atmosphere and culture of your business. Identifying that perfect candidate on your own can be tough, but you have a baseline to work with, so you know what to look for. However, it seems that finding the ideal candidate is an elusive one and you may need assistance from Milwaukee recruiters. Here at The Lawler Group, we have the experienced recruiters that know what businesses are looking for in executives and managers. We are continuously locating the best talent to provide qualified individuals for positions that need to be filled. Our network is vast and spans over 38 countries throughout the world. If your company has a vacancy that needs to be filled with an exceptional candidate or if you have any questions about our recruiting methods and process, give us a call today at 262-241-1600. You can also get in touch with us by sending us an email at tim@lawlergroup.com and one of our trained associates will get back to you as soon as possible. 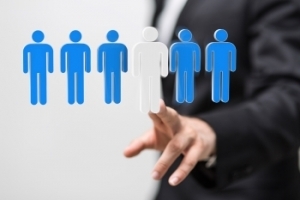 What makes us one of the best at finding the right talent for the right position? Our hardworking and experienced employment recruiters. Our recruiting and search specialists distinguish themselves from the rest because they have some of the best on-board industry training through the MRINetwork. They are always improving their methods and continuing their growth to be the most efficient and well-rounded recruiters in the industry. To learn more about our recruiting services and how we place candidates with companies that need their talents, call us today at 262-241-1600. Or you can reach us via email at tim@lawlergroup.com and we will respond shortly.